Quiet noisy vibratory finishing machines with a noise cover custom made for your equipment. 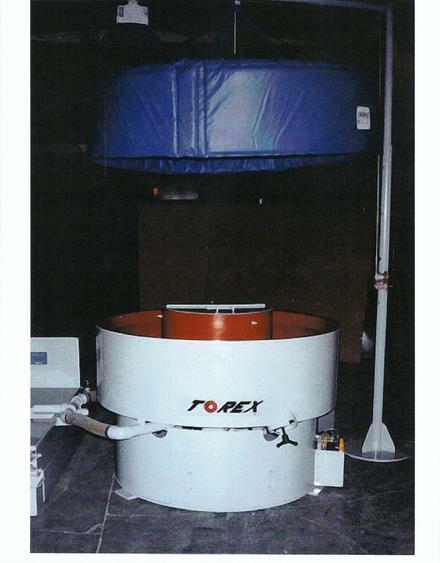 We have patterns for most round vibratory finishing machines. 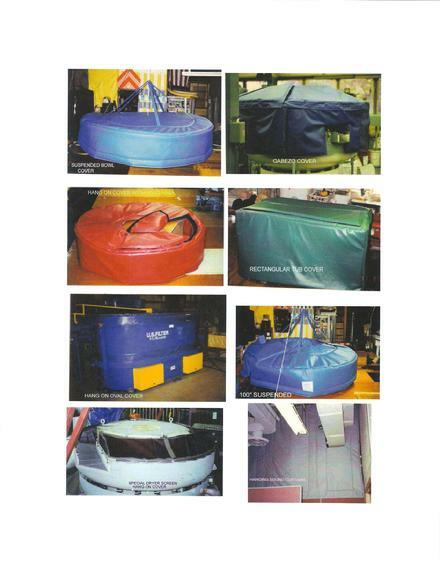 All covers, round or rectangular, are made to your requirements. For quotations send us your machine dimensions along with pictures if possible. Covers are manufactured of flexible heavy duty foam filled vinyl. In addition to noise suppression these covers help maintain a cleaner finishing department.